Discover the brightly coloured woodblock prints of actors from Japanese popular theatre. 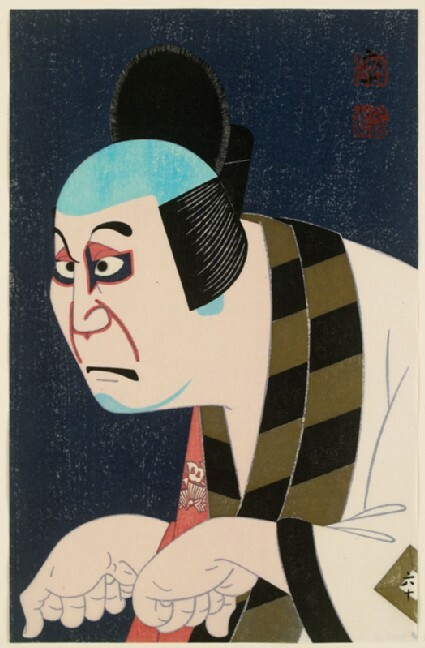 Kanadehon Chūshingura, or ‘The Revenge of the Forty-seven Ronin’, is one of the best known of all kabuki plays. It is based on the true story of a group of samurai who were left leaderless (becoming ‘rōnin’) after their lord was forced to commit ritual suicide (seppuku) for assaulting a court official. The rōnin avenged their master's honour after patiently waiting for two years to kill the official. The rōnin were then forced to commit seppuku themselves for committing murder. The story became hugely popular for the way it symbolized the values of loyalty, sacrifice, persistence, and honour. Presented by Philip Harris, 2010.